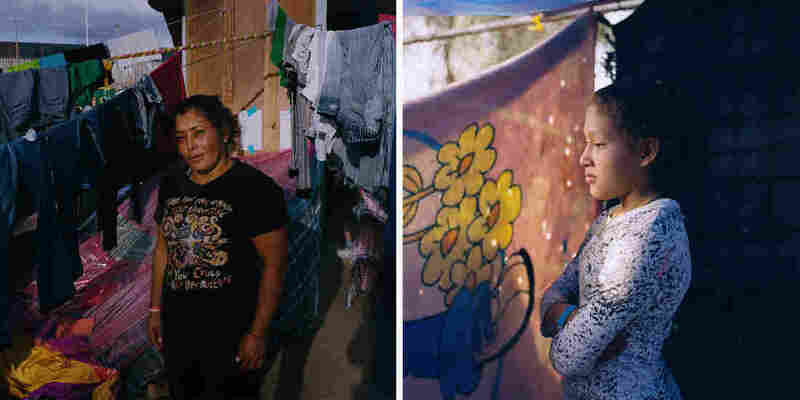 'I'm A Survivor Of Violence': Portraits Of Women Waiting In Mexico For U.S. Asylum : The Picture Show Photographer Federica Valabrega photographed Central American women who fled domestic violence and joined a migrant caravan to seek asylum in the U.S.
Mirna Yolanda Contreras, 29 (left), and Paola Arita, 32, are both from San Pedro Sula, Honduras. "Since we met in Puebla [Mexico], we have never separated. We became very good friends; we slept in the same place the whole time," Contreras said. (Left) Carmen Enamorado Alba, 31, is from Guaimaca, Honduras. 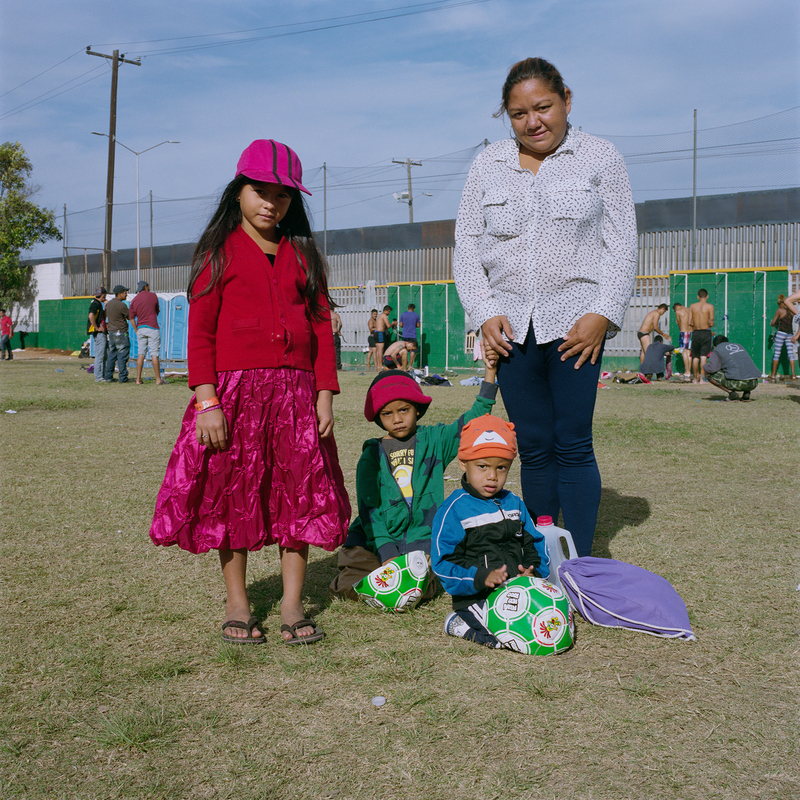 (Right) Margarita Alberto Escobar, 39, sits with her children Dallana Michelle, 10, and Allan José Vargas, 12. They are from the Honduran town of Gracias. "The doctor told me [Dallana] may have had a cerebral edema as a result of the hit [from her father]. Then later she started convulsing with epileptic attacks," Escobar said. Karen Paz hugs her daughter, Liliana Saray, 9. They are from San Pedro Sula, Honduras. "I feel free; I feel different," Paz said. "I don't have someone who imposes his views and his ways on me. I am not scared someone will come and attack me, like I used to be." (Left) Maria Luisa Vasquez, 36, holds her children Brittany, 6, and César, 2. They are from Guatemala. 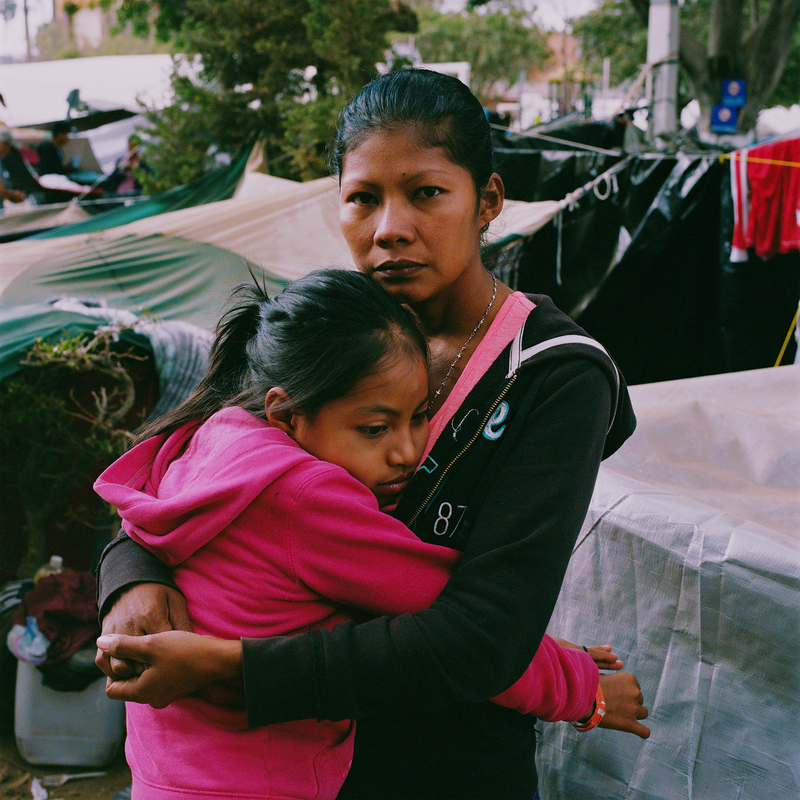 (Right) Fanny Gabriela Regalado, 20, is from Honduras. "I felt very scared to report this [abuse], because at the time he had some link to a [gang]; I did not want them to hurt my family or my children. So I kept quiet," Regalado said. 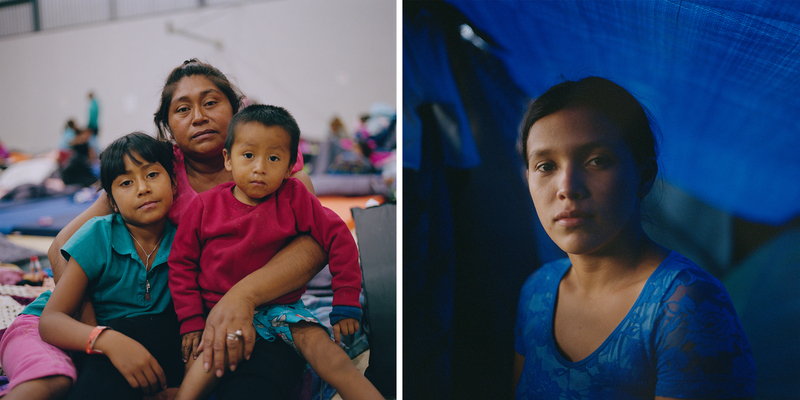 Cinthia Soriano, 30, Kenneth, 2 (bottom right), Joseph, 5 (center), and Jennifer, 7 (left), from Villa Nueva Cortes, Honduras. 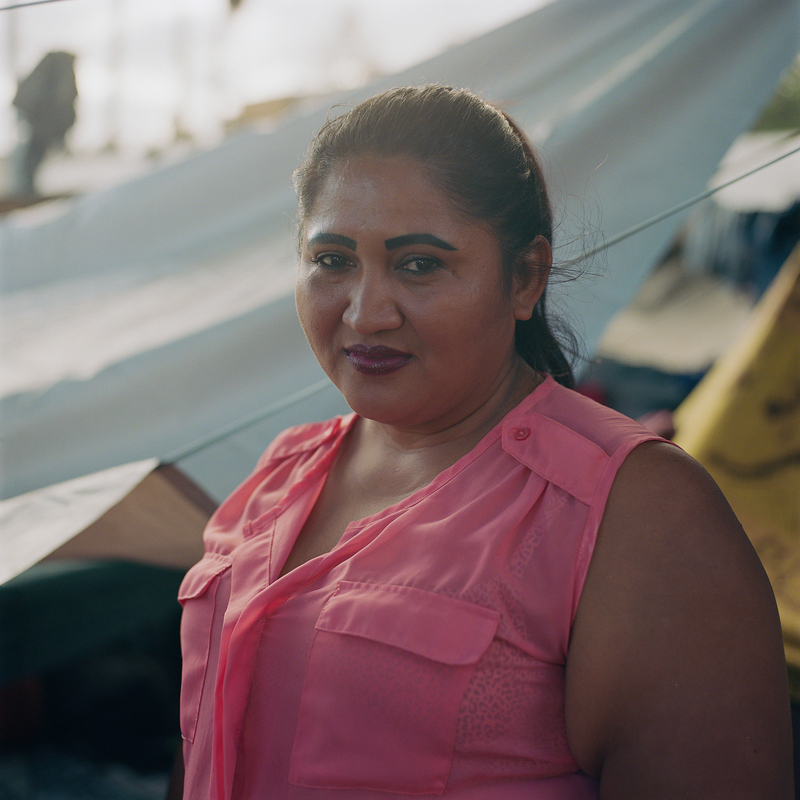 "The maltreatment I was subjected to, as other women there in Honduras, was why I decided to leave," Soriano said. Maria Lidia Meza Castro, 39 (left), and one of her daughters, Jeimye Giselle Mejia Meza, 13. Meza Castro came to Tijuana from San Pedro Sula, Honduras, with five of her nine children; they entered the U.S. and requested asylum later in December. "He would always mess my life up, making demands and threatening me if I would not give back the photos I would take of myself all bruised up after his beatings," Arita said. "I did this thinking if and when I would ask for asylum in the U.S., I will show them the photos."